It’s hard to believe Sonya Fitzpatrick ever had a problem speaking. But the woman known to Sirius XM radio listeners all over the world as The Pet Psychic, an official “animal communicator,” was born with hearing loss, and she didn’t utter a word until she was five years old. Several decades later, the words come rushing out as Fitzpatrick tells a caller why her cat dropped dead at the tender age of three. She’s full of heart-tugging anecdotes on a youtube video that shows her communicating with a shaggy little rescue dog about how happy the dog is in her new home. During a recent telephone interview with Fitzpatrick, I decided to give her skills a try. I asked if she could make contact with my dearly departed miniature poodle, who died nearly three years ago at age 17. Was I skeptical? Yes. But after hearing that Pooch liked the beige carpet in our old house better than the wood floor in the new one, I began to doubt my own doubts. How could she know that? 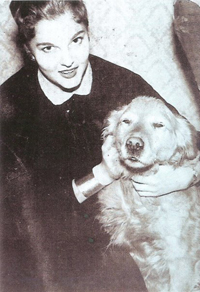 I admit, I was giddy when I heard that Pooch was “with me all the time,” as Fitzpatrick said, and that she thought she was a person and not a dog – something I always said about her. Whether Fitzpatrick is the real deal or not, she is very convincing. She is charming, kind, and she calls everyone “darling.” The British accent helps. It’s comforting. That was “What the Animals Tell Me,” in 2003. Next came a show on TV’s Animal Planet called “The Pet Psychic,” and two more books. While the show only lasted a few years, Fitzpatrick’s weekly radio program has been drawing record numbers of callers to Sirius XM for years. 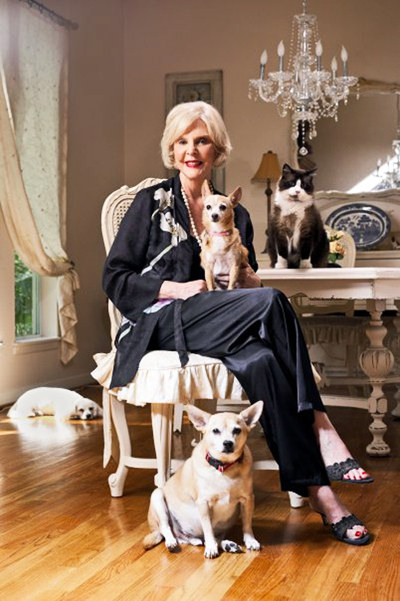 On her website sonyafitzpatrick.com, pictures of dogs, cats, birds, fish, and rabbits share space with shots of Fitzpatrick and Ellen DeGeneres, Paula Abdul, comedian Wanda Sykes, and various other celebrities. A private session to find out why your pets, dead or alive, behave the way they do, comes at a price: $300 for a half hour. Too steep? There’s always “Animal Intuition,” which airs Sundays from 5-7 p.m. on Channel #109 Sirius XM. Just be prepared to wait your turn if you call in. The show is among the most popular on the channel.